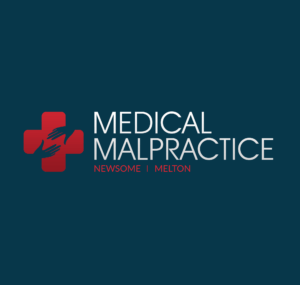 Medical Malpractice Help » Medical Malpractice Causes » Malpractice » Can Apologies or Sympathies Hurt Your Medical Malpractice Case in Florida? Find out what happens if a healthcare provider facing a malpractice lawsuit apologizes or expresses sympathy to the patient. What Does Florida Law Say About Apologies and Sympathetic Gestures in Medical Malpractice Cases? Does This Law Apply Directly to Medical Malpractice Cases? What Do the Courts Say About Apologies or Expressions of Sympathy? How Can I Talk to a Lawyer About My Medical Malpractice Case? If a doctor or healthcare provider calls to apologize or express sympathy for an injury suffered by a patient under their care, can this gesture be held against them in a medical malpractice suit? In Florida, the answer is no—as long as the injury occurred as the result of an accident rather than a willful action. For more information on whether apologies or sympathies can hurt your medical malpractice case in Florida, contact Medical Malpractice Help. Our medical malpractice lawyers in Florida offer free case evaluations for new clients. Call us at 855-633-2757 today. Florida allows anyone to express sympathy or apologize for a patient’s injuries without these gestures being used against them if the victim files for medical malpractice. In this state, sympathy is not an admission of guilt. F.S. §90.4026(2) governs what happens if a defendant in a lawsuit apologizes or expresses sympathy to a plaintiff for their injuries. The statute implicitly covers doctors and healthcare providers facing medical malpractice lawsuits. The statute applies only when the victim’s injuries or illness were accidental. If a patient suffered injuries because of a doctor’s intentional actions, this law does not apply. If your injury was not the result of a doctor’s willful actions, the law considers it an accident. It is not settled as a matter of law whether this statute applies to medical malpractice cases. Unlike the laws in other states that feature specific language concerning healthcare workers and gestures of sympathy, Florida’s law is more general in nature. Florida’s law broadly states that expressions of sympathy towards a person injured in an accident are not admissible as evidence of culpability. While it is not directly mentioned, the statute’s language implies that medical malpractice cases fall under this rule. This is especially true given the use of the word “accident,” as medical negligence cases are often considered accidental. It does not appear that a state court has ever addressed this issue, so it remains an open question whether the law covers healthcare practitioners in medical malpractice cases. Regardless, healthcare practitioners must be extremely careful if they chose to communicate apologies or sympathetic gestures despite this uncertainty. They should not admit fault or blame in connection with an apology. While the statute covers apologies and sympathetic gestures, it does not offer protection from the consequences of actual admissions of guilt, which are admissible in court. The legal team at Medical Malpractice Help is here to help you with any issue you are facing regarding medical malpractice. We fight for your best interests and offer aggressive legal representation. It starts with a free consultation, where we are available to answer any questions you have and offer advice on your options. To schedule an appointment today, call us at 855-633-2757.